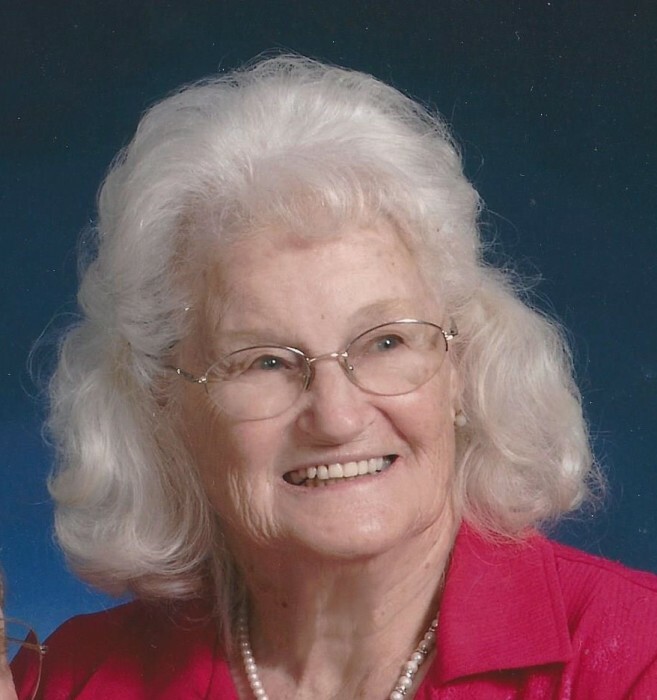 Meredith B. Poole, 91, of Gainesville, died Saturday, January 26, 2019. She was born April 6, 1927 and lived in Hall County, Georgia her entire life. Meredith was a devoted wife of 73 years to Marcus A. Poole. They raised three sons. She worked for the Hall County Schools dietary system until she retired in 1993. In her spare time, she loved to trout fish and cook for her family. Mrs. Poole is survived by her husband, Marcus A. Poole; sons, Johnny Poole and Terry Poole, along with Terry’s wife Debbie Poole; Johnny’s children, Wendy Poole Smith, her husband Jeb, Cindy Poole Hope, her husband Dale, and Christy Poole Ingram, her husband Billy; as well as Terry’s children, Stephanie Poole Chambers, her husband Justin, and Stephen Poole, and his wife Lisa. Also, she has 11 great grandchildren, Jared, Cady, Jeremy, Cayla, Jadyn, Morgan, Camdyn, Gavin, Priscilla, Wil and Gretchen. She was preceded in death by her son, Tommy Poole, and her daughter-in-law, Brenda Poole (Johnny’s wife). Funeral Services will be Monday at 2 p.m. at Hillside Chapel Funeral Home in Gainesville. Rev. Terry Poole will officiate. Interment will follow at Timber Ridge Baptist Church Cemetery. Visitation will be Sunday, January 27 from 2-4 and 6-8 p.m. at Hillside Chapel Funeral Home.